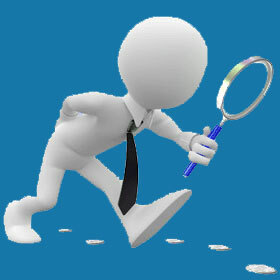 Detroit private investigators live and work in a very busy and challenging legal marketplace. Michigan has been particularly hard hit by the devastating consequences of the declining economy and many detectives have left for greener pastures elsewhere. However, for those who remain, the competition is less fierce than ever and there is still the possibility of finding tremendous success for professionals in particular facets of the investigative arts. This treatise delves into the detective services sector in and around Detroit, Michigan. Detroit’s location allows professional investigators to expand their efforts into local neighboring legal markets including Flint and Livonia. Some investigators head out of state for their case assignments, often to the legal markets of Chicago, Toledo and even Cleveland and Akron. Best of all, Detroit is so close to the Canadian border, so a few investigators take regular case requests in the nearby areas of Toronto and Niagara Falls. Detroit is in close proximity to Lake Erie and Lake Huron, making it an ideal staging point for maritime investigations involving waterborne incidents. The investigation industry in Detroit used to rely heavily on the auto makers, but now the economy has cut back the American car companies to a barely functioning level. Still, some cases involving intellectual property theft, employee theft and work accidents manage to find their way to investigative service providers in the city. Additionally, since there is a large community of former military personnel in the area, military record investigations are commonplace, although these are often hired out to investigators from out of the area in many cases. We do not recommend Detroit as the best place to begin a private investigation business right now. However, private security seems to be a good growth sector and the number of qualified potential employees returning from active military duty increases daily. If you are looking to hire a professional detective for any reason, make sure that you match your assignment to a provider who has experience in the subject matter of the case. This will ensure the best results in the shortest time frame, saving you both time and money.